Our guide to Boston will help you find the best breweries in Boston Massachusetts. Boston is a giant of a small city: big on opinion, beauty, and heart. Brimming with New England pride, but permeated with a down-to-earth attitude, it's a city that defies stereotype because it consists of many different layers. Boston is compact, culturally rich, and can largely be explored on foot. There are tons of great breweries in the city of Boston, our city guide will help you find the best breweries. You may have a hard time deciding what to do in Boston, but we make your decision easy. 306 Northern Ave, (617) 574-9551 - Various brew tastings offered Tuesday - Saturday; seasonal events, gift shop. Po Box 1498, (781) 963-4007 - New Century Brewing Co is a brewery located in Boston MA. 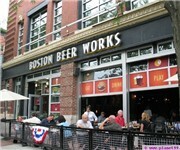 112 Canal St, (617) 896-2337 - Boston Beer Works is a restaurant and brewery serving American food and various micro-brews. There are plenty more breweries in Boston. 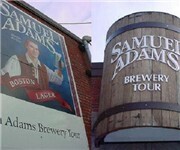 See all breweries in Boston Massachusetts.